ALLEGRA BOVERMAN/Staff photo. Gloucester Daily Times. 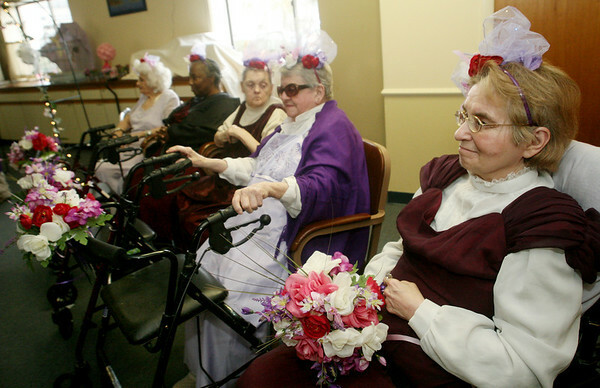 Gloucester: From right are "bridesmaids" Elaine Rambler, Eleanor Campbell, Pat Shea, Marsha West and Angie Verga awaiting the start of the "Mock Wedding" held at Day by Day on Tuesday.